Dr. Donald Ainslie (D.A.) 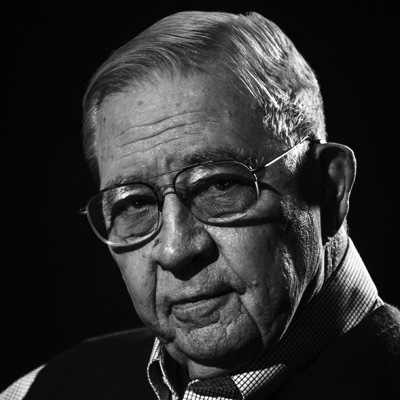 Henderson (1928-2016) was a major figure in the fight against infectious diseases, beginning in the 1950s, when he worked for Alex Langmuir at the newly-established Epidemic Intelligence Service of the CDC. During that time, he created and operated the first Smallpox Surveillance unit in the United States. This appointment lead to his 1966 enlistment by the World Health Organization to head the Global Smallpox Eradication Campaign, where he led a global team from the mid-1960s into the 1970s in the effort to crush the disease wherever it appeared. Under Henderson’s leadership, the disease was successfully eradicated in 1977. It is the first disease in history, and remains the only human disease, to have been eliminated. Henderson’s time with the World Health Organization inspired global childhood immunization programs. In the decades since smallpox eradication, WHO has vaccinated 80% of the world’s children against preventable childhood diseases. After leaving the WHO, Henderson served as Dean of the Johns Hopkins School of Public Health (1977-1990). He subsequently served in both the George HW Bush and Clinton administrations, and in 1998 co-founded the Hopkins Center for Civilian Biodefense Studies with Dr. John Bartlett. Following 9/11, he was marshalled into federal service days before the anthrax attacks. He first served as Director of the Office of Public Health Emergency Preparedness and later as Principal Science Advisor in the Office of the Secretary of the Department of Health and Human Services. Dr. Henderson received special awards from 19 countries for his role in the eradication of smallpox, including the Order of the Brilliant Star with Grand Cordon from the Republic of China (Taiwan) and the Presidential Medal of Freedom from the U.S.—both awards are the highest national honors awarded to civilians. He earned his M.D. at the University of Rochester and his M.P.H. at Johns Hopkins. Dr. Henderson passed away in Towson, Maryland, on August 19, 2016. A legend in modern day microbial-warfare, Dr. John Bartlett has been a witness to the discovery and defeat of the world's most sinister viral infections. 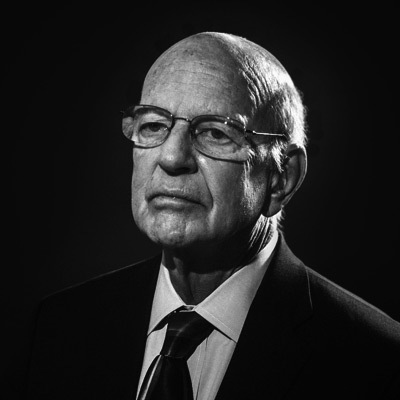 A pioneer in the research of HIV/AIDS, C-DIFF, and antimicrobial resistance, Dr. Bartlett was Chief of the Division of Infectious Diseases at Johns Hopkins for 26 years. Dr. DA Henderson has been a major player in the fight against infectious diseases since the 1950s. In 1966, he was appointed to lead the World Health Organization's Global Smallpox Eradication Campaign. Subsequently, he served as dean of the Johns Hopkins School of Public Health and following 9/11/01, he become chair of a national advisory council on public health preparedness against attacks of bioterrorism.